Great starter home! Well kept ranch house with 1600 sq feet located on 1 acre lot with wooded ravine in the back. 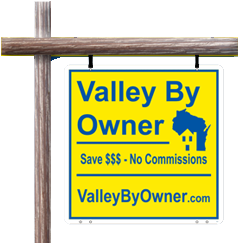 Located just outside of Kaukauna with low, Town of Buchanan taxes. Open-concept 3 bedroom, 1 bath with attached 2 car garage (room to expand widith & depth of garage) & 1st floor laundry. 10x14 outbuilding added in 2015 for additional storage. Bathroom remodeled in 2015; furnace replaced in 2011 & all new water system in 2012. Secluded poured patio with fire pit & built in grill... the feel of up north right in your backyard! Please call 920-540-6295 for a showing! Ranch Home N4717 Rexford Road With a Fantastic View.